Joy Creek Photo Archive (c) all rights reserved (This is sometimes sold as Pulmonaria 'E.B. Anderson'.) This selection of the species found in Western Europe as far north as Sweden is characterized by its showy foliage and bright blue flowers that emerge from reddish buds. The narrow, lance-shaped leaves can measure 18 inches long and are richly spotted in silver. Pulmonaria longifolia 'Bertram Anderson' is said to bloom a little later than the species. It is easy to grow in a woodland garden as long as it is watered on a regular basis. Take advantage of its silver-spotted foliage to break up the all-green look that often happens in shade borders. Late winter to spring. 6-12 in. x 12-20 in. Lungworts offer long-term interest. 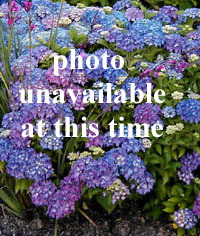 In early spring they brighten up the garden with bright, long-lasting flowers, many of which change color as they age. They are a favorite of early spring hummingbirds. After the lovely display of flowers in spring, remove the old flower stems and enjoy the lush summer foliage.